Rapidly evolving expectations are leading designers to reimagine how sports, recreation and entertainment venues can attract more people and create even more memorable experiences. Great design can contribute to the vitality of the broader community while creating value for owners by generating revenue, maximizing efficiencies and ensuring that developments contribute to the health of people and the environment. HOK’s Sports + Recreation + Entertainment specialists design through the eyes of the venue’s users, always focusing on promoting human interaction and creating vibrant gathering places that build genuine connections. We design these facilities to celebrate identity and inspire cultural exchanges. They also integrate high-tech systems and have flexibility to accommodate future needs. From pioneering innovative stadium seating bowl concepts to exploring fresh ways to support recruitment of top talent, our teams create design solutions that successfully achieve each client’s unique objectives. MLS4TheLou has released a first look at the proposed St. Louis MLS stadium design. Bill Johnson talks to VenuesNow about the need for higher-capacity stadiums in Major League Soccer. Designs have been unveiled for the Gateshead Quays development in Gateshead, England. HOK is collaborating with ERRE to design a new 15,000-seat arena in Valencia, Spain. HOK teams with Visa to explore the stadium of the future. Louisville City FC’s new soccer stadium will open in time for the 2020 United Soccer League season. The New York Times features three HOK-designed projects as models for sports-anchored mixed-use districts. HOK is designing a 10,000-seat ballpark for the Triple-A Las Vegas 51s in Summerlin, Nevada. Detroit’s Little Caesars Arena celebrates its grand opening. The HOK-designed renovation to the Atlanta Hawks’ Philips Arena will create unique social and entertainment spaces. HOK has released renderings for Yas Arena, a transformative new venue on Abu Dhabi’s Yas Island. 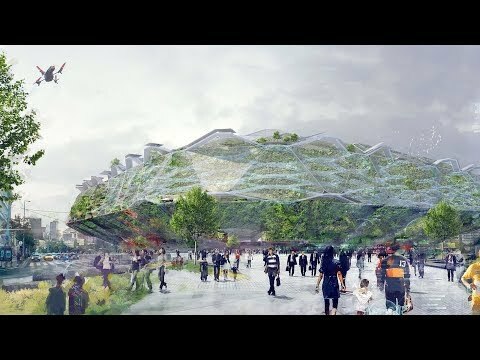 Watch HOK’s John Rhodes meet with four world-class rugby players to explore design ideas for the rugby stadium of the future. James Braam discusses trends impacting the design of campus recreation facilities with Athletic Business. Ryan Gedney discusses the urban planning challenges surrounding Detroit’s Little Caesars Arena with Engineering News-Record. HOK is designing a $192.5 million renovation of Philips Arena for the NBA’s Atlanta Hawks. Rogers Place, new home of the NHL’s Edmonton Oilers, celebrated its grand opening. Algen Williams joins HOK as regional leader of Sports + Recreation + Entertainment based in Kansas City. 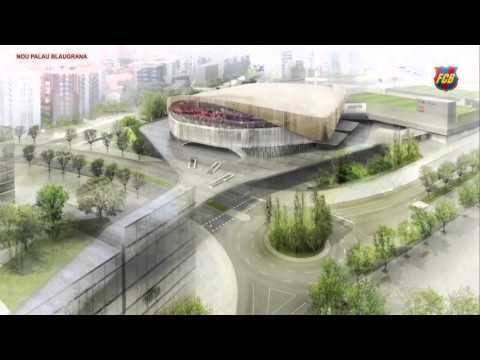 HOK and TAC Arquitectes are designing a new arena for FC Barcelona. A United Soccer League stadium initiative, in partnership with HOK, aims to develop soccer-specific stadiums that catalyze development in home markets. HOK’s John Rhodes and Dave Kaval, president of the San Jose Earthquakes, discuss the technological sophistication of Avaya Stadium during a Soccerex panel on the evolution of the stadium experience. The Miami Dolphins enter the NFL season sporting the league’s most dramatic stadium changes, according to Sports Illustrated. In Fort McMurray, Alberta, HOK designed Shell Place to include a stadium and outdoor performance venue, a ballpark complex and several activity areas. Huntington Park, home of the Columbus Clippers, won Ballpark Digest’s Triple-A Best of the Ballparks award by a fan vote. Watch John Rhodes discuss the importance of behavioral understanding in venue design at SportsPro Live 2015. National recreation design leader James Braam authors a Recreation Management article on balancing inclusivity and exclusivity in fitness center design.